“For of those to whom much is given, much is required,” President John F. Kennedy once famously noted. 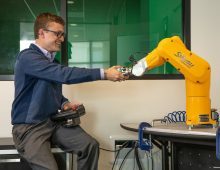 That altruistic sentiment is not lost on the College’s new Student Government Association (SGA) president, Tripp Keeffe. 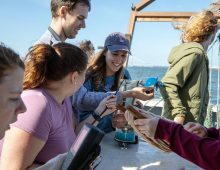 After winning a coveted Huge Scholarship, which not only pays tuition for four years, but provides a $5,000 annual stipend for an enriching activity each summer, Keeffe’s first inclination was to give back to his campus community. The former high school class president from Columbia, South Carolina, ran for freshman senator and won. Keeffe took his role a step further his second semester, when he received a committee leader appointment. 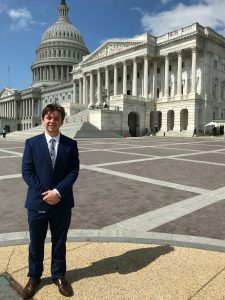 People took notice of Keeffe’s initiative, particularly his Honors College classmate, Alexandra Helfgott, who asked him to be her running mate for student government president. 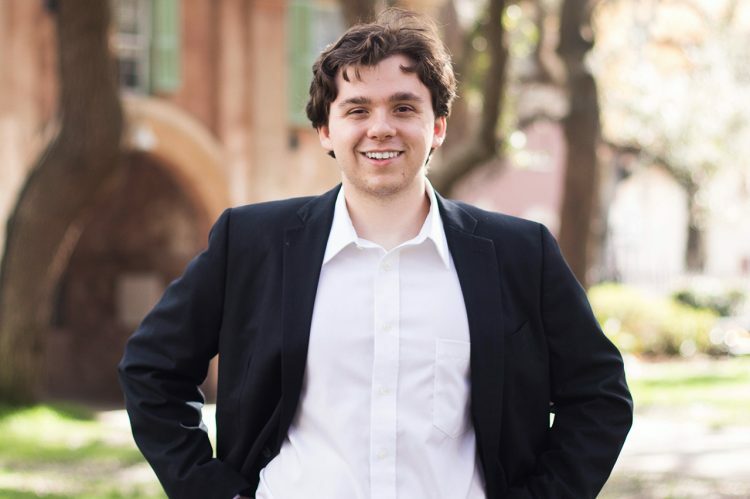 Their ticket won, and to bolster his knowledge of government affairs, Keeffe used his Huge Scholarship summer stipend to support an internship with South Carolina state Rep. Laurie Slade Funderburk last summer. With a stronger understanding of how government operates, Keeffe started the fall 2017 term fulfilling promises. 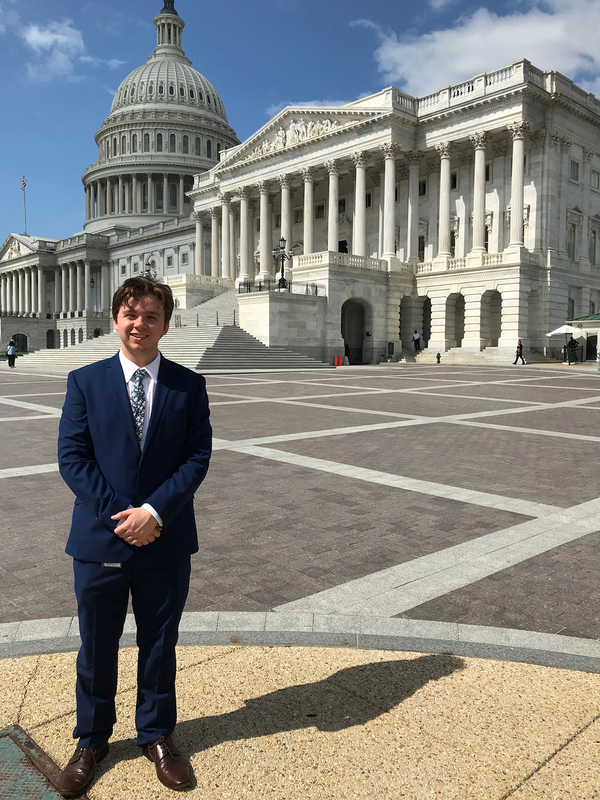 Keeffe in Washington D.C. where he interned for U.S. Sen. Lindsey Graham this summer. If Keeffe’s path wasn’t already cemented, it certainly was after he met professor John Creed in his Honors world politics class. 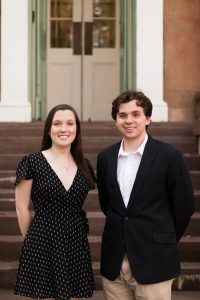 Keeffe ran for SGA president with Sara Graham as his running mate in the spring of 2018. They won and have a big agenda planned for the 2018 fall semester: streamlining student government processes, improving awareness about student government, forming a Diversity Council so that every voice is heard, creating a discount program for students with local businesses, acquiring funding to make the feminine hygiene program permanent and lobbying for an engineering program. 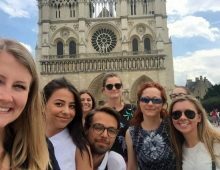 In the meantime, Keeffe has spent the summer getting ready for his presidential responsibilities by using his Huge Scholarship stipend to intern with U.S. Sen. Lindsey Graham. 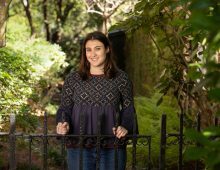 “I have been very fortunate in that the scholarship has given me the chance to give back to my community,” Keeffe says.